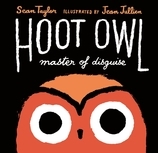 Sean Taylor is an author, storyteller, and teacher who has written more than twenty books for young children, including The World Champion of Staying Awake, illustrated by Jimmy Liao. Sean Taylor divides his time between the U.K. and Brazil. Jean Jullien is a graphic designer who works in a wide range of media, including illustration, photography, video, installation, and clothing. His clients have included the New Yorker, New York magazine, the Guardian, and the Pompidou Center. Originally from France, he now lives in London and regularly exhibits his work in both places.